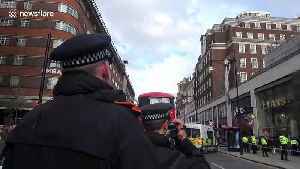 A man thought to be part of Extinction Rebellion sits precariously atop a lamppost on central London's Oxford Street to demonstrate against climate change as police look on from below. 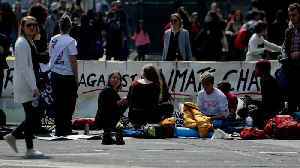 Police.. 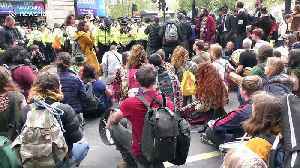 The climate change activist group Extinction Rebellion have been demonstrating in central London for the tenth consecutive day. 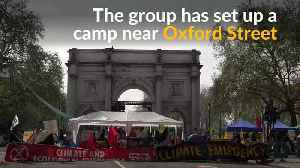 In footage captured this afternoon (April 24) protestors were met with..
Scores of Extinction Rebellion activists lie under the skeleton of a blue whale in London&apos;s Natural History Museum. 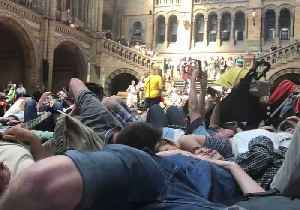 Scores of Extinction Rebellion activists lie under the skeleton of a blue whale in London's Natural History Museum. 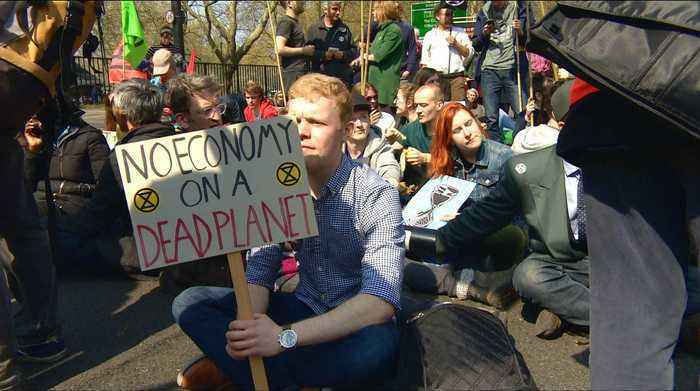 Extinction Rebellion demonstrators gathered inside the Natural History Museum’s Hintze Hall in London on April 22 to stage a “die-in,” one week after demonstrators first occupied..